Retreating from a worthy fight is never an option. At Scholl Law Firm, P.L.L.C., we are resolute in our mission to defend the rights of men and women facing administrative actions who serve in the United States Armed Forces. If you are facing a court-martial or must appear before an Administrative Discharge Board, we can provide aggressive representation to secure the best outcome. When your career and honor are at stake, having access to proven, experienced military defense strategies is essential. 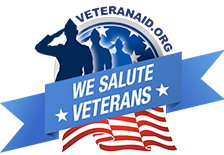 Attorney Scott A Scholl is a proud veteran possessing the knowledge, tenacity, and dedication to handle your adverse military action proceeding successfully. Scholl Law Firm, P.L.L.C. believes in educating our clients about the challenges ahead. A court-martial proceeding can be compared to a civilian criminal trial. Charges may be brought against soldiers for a number of alleged crimes and are usually investigated by the person’s commanding officer, initially. Charges may stand, be reduced and possibly handled through an Article 15, or dismissed altogether. Our firm has great success in handling all types of court-martial hearings, and when necessary, we represent our clients in the appeal process. You need a strong advocate from day one. Attorney Scott A. Scholl is ready to help you preserve your dignity in the midst of serious allegations. He has successfully represented military and civilian clients at home and abroad. Each characterization of discharge can have a profound impact on your future. We will work diligently to secure the best possible discharge status on your behalf. We will fight to protect the dreams and vision you have for yourself and your family. Do not walk this road without a proven, battle-tested military defense team. If you need skilled military defense representation for courts-martial or Administrative Discharge Board matters, please contact our office today at 501-588-3356 to set up an initial consultation. Conway residents may call 501-205-8767 to reach our additional office location. Scholl Law Firm, P.L.L.C. serves servicemembers and military contractors throughout the surrounding Little Rock Areas including North Little Rock, Little Rock Air Force Base, Faulkner County, and Conway County. Scott Scholl – Won our case!!! Very great attorney. Case began in 2005 and was settled in 2006. He will go the distance with you and fight hard till the finish. Scholl Law Firm, P.L.L.C. provides representation for clients across Arkansas including those in Little Rock, North Little Rock, Conway, Benton, Bryant, Lonoke, Sherwood, Jacksonville, Maumelle, Hot Springs, Searcy, Jonesboro, Forrest City, Marianna, Arkadelphia and others in Pulaski County, Lonoke County, Faulkner County, Saline County, Jefferson County, White County, Hot Springs County, Garland County Grant County, St. Francis County, Lee County, Stone County, Union County and Clark County. © 2019 Scholl Law Firm, P.L.L.C.